Herrin's thesis throughout is this: Byzantium—the Roman East—was a fusion of pagan Greece with Orthodox Christianity. There was supreme pride in both meta-narratives. And both were a daily part of the Byzantine consciousness. This is largely what distinguished the Eastern Empire from the West. Byzantines were deeply committed to classical, pre-Christian forms of knowledge; they were both restricted and ornamented by them. While it is common to understand classical learning as coming to the West via the Islamic world, it is a forgotten part of the story that the Islamic world was the beneficiary of vast reservoirs of Hellenistic learning preserved by the Christian East. Indeed, the Italian renaissance owes its very existence to the Byzantine fascination with, and preservation of, ancient Greece and Rome. Throughout their history, and to the very last, the Byzantines were fully conscious of this dual nature. As the walls of Constantinople were being pummeled on the 29th of May, 1453, Emperor Constantine XI shouted out to his meager 8,000 defenders, reminding them that they were "true Romans," inheritors of a glorious legacy. Alas, it was a fruitless battle cry, for within hours the massive walls of Constantinople were breached, and 200,000 Ottoman fighters, led by Sultan Mehmed II, helped themselves to the ample booty of New Rome: "The Turks dressed themselves and even their dogs in ecclesiastical robes, threw all the icons onto a huge bonfire over which they roasted meat, and drank unwatered wine from chalices." Why do Westerners know so little about this great empire in the East? Herrin proposes some enlightening answers. One has to do with communication: the Western part of the empire Latinized, while the East remained Greek. However, the theological fissures that split the empire were equally significant; from the 9th century onward, the West and the East could never quite accept each other as fully Christian. Whether the arguments flared up over one word (filioque—"and from the Son") in the Nicene Creed or over such questions as the propriety of a priest shaving his beard, intractable divisions unnecessarily thwarted any hopes for ecumenicity. Perhaps the most important event of all in the break between East and West—even more important than the mutual excommunications of 1054, according to Herrin—was when Western crusaders ransacked Constantinople in 1204 and shipped the plunder back West. That event, punctuated by scores of murders and mass rapes in the aftermath of victory, has never quite disappeared from the consciousness of Eastern Orthodox Christians; it set the agenda for a long and stubborn coldness between the East and the West, which even today has barely begun to thaw. Rather than what might have been—a united Christian civilization which functioned in two languages—we are left with two cultures that know little about each other, and probably trust each other even less. When Pope Benedict XVI unwisely ripped a quotation out of context in his address at the University of Regensburg on September 12, 2006, he was actually quoting a powerful Byzantine emperor who ruled during the empire's twilight. Benedict's infamous misjudgment propelled Byzantium into the news, albeit in an unfortunate light. What was missing was the larger context of the emperor's characterization of Islam as "evil and inhuman": it was set in a very sophisticated and civil debate between the Byzantine emperor and Ottoman Turk officials over a period of several days. 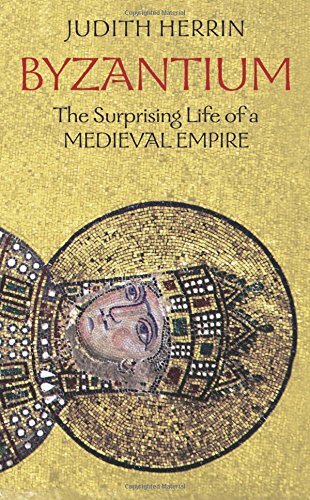 The problem with the whole debacle, according to Herrin, was that the Byzantine Empire had been distorted in the West—yet again. Western civilization, Herrin argues, owes its very existence to the Byzantines: "Without Byzantium there would have been no Europe." Near the end of the book, she writes, "I hope I have convinced the reader … that Byzantium must be saved from its negative stereotype." I would argue, however, that it might be more accurate to say that Byzantium, at least in the United States, needs to be saved from obscurity. In this sense, Herrin's book is a giant step in the right direction. Dyron B. Daughrity, assistant professor of religion at Pepperdine University, is the author of Bishop Stephen Neill: From Edinburgh to South India (Peter Lang).